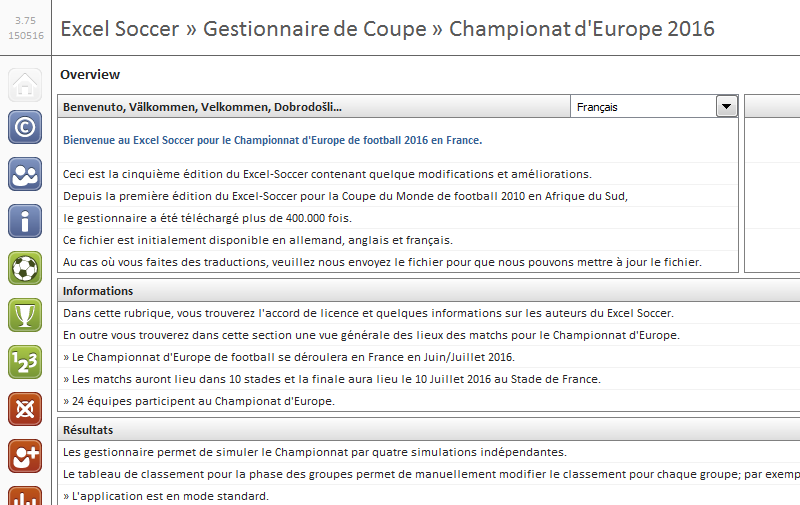 In the following some instructions how to use the Excel-Soccer Basic and how the software works. 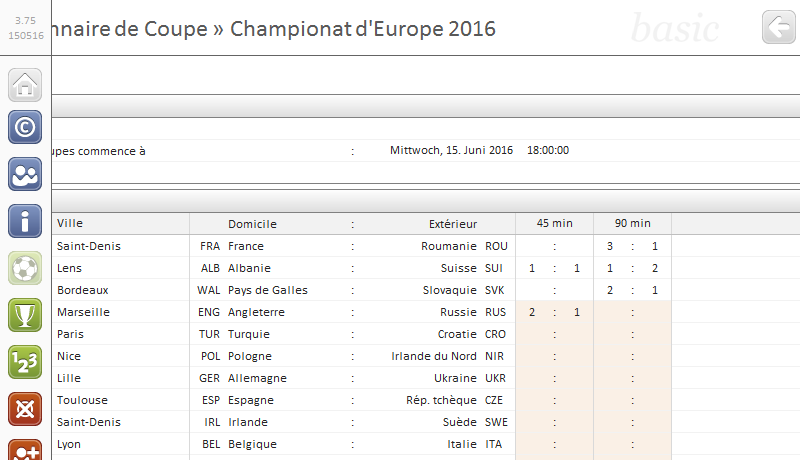 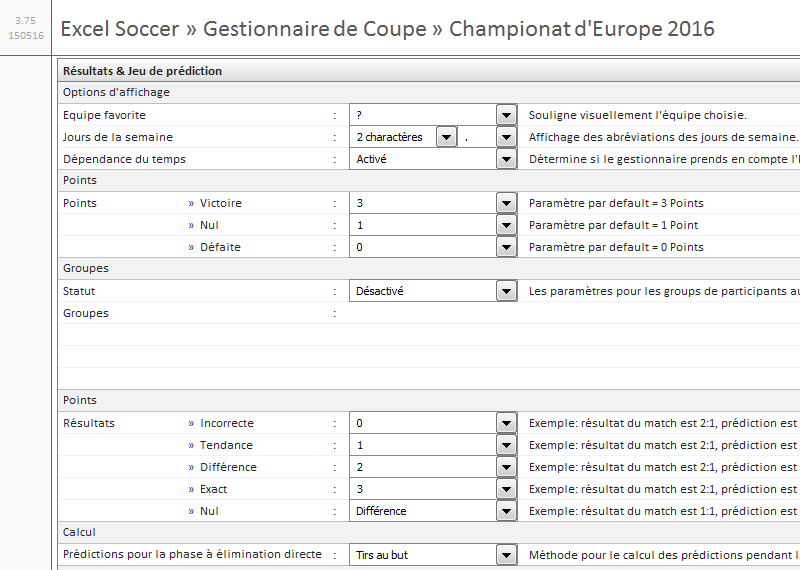 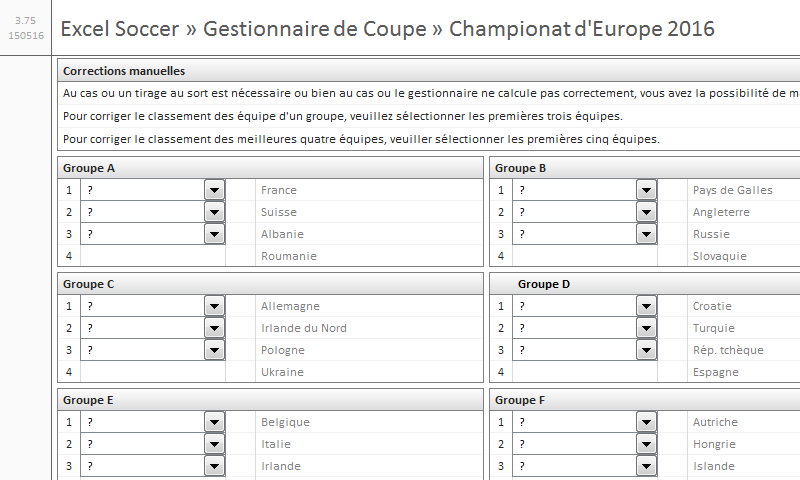 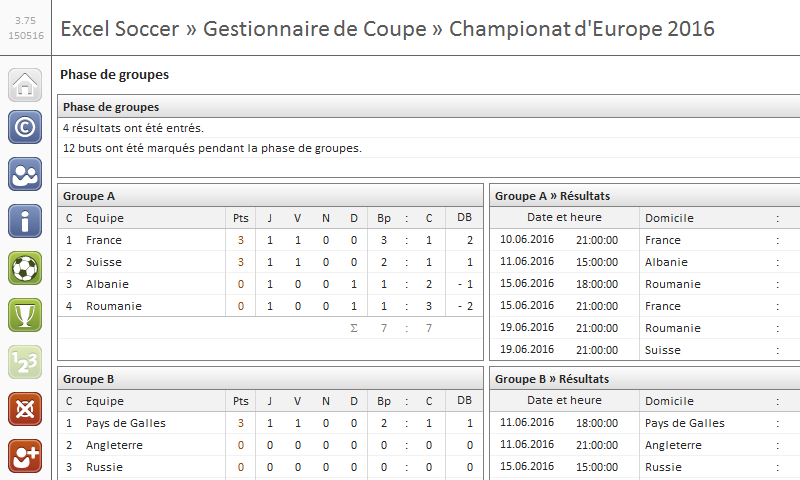 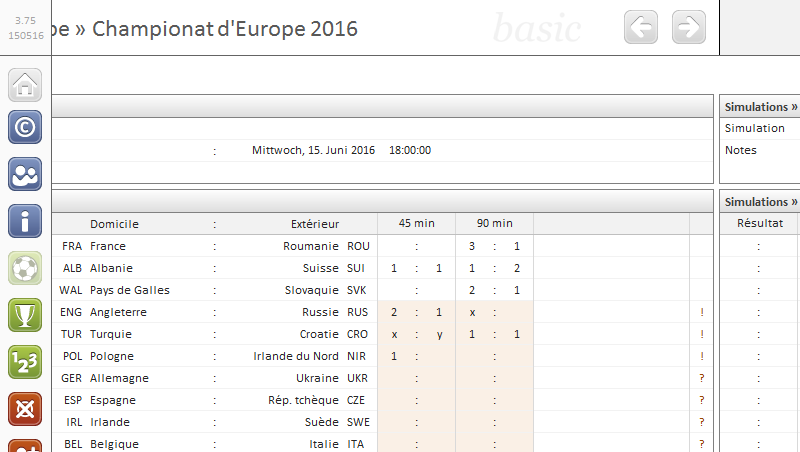 The screenshots are showing the current version for the European Championship 2016 in France. 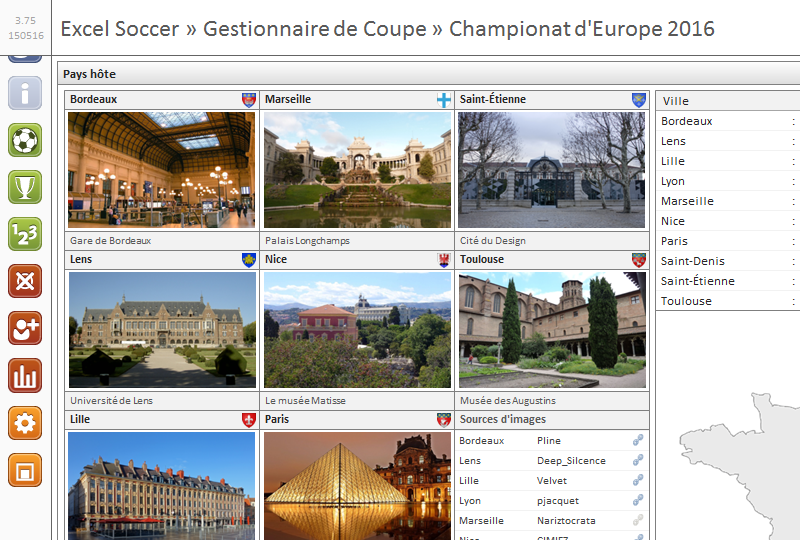 This version can be downloaded in the Download section. 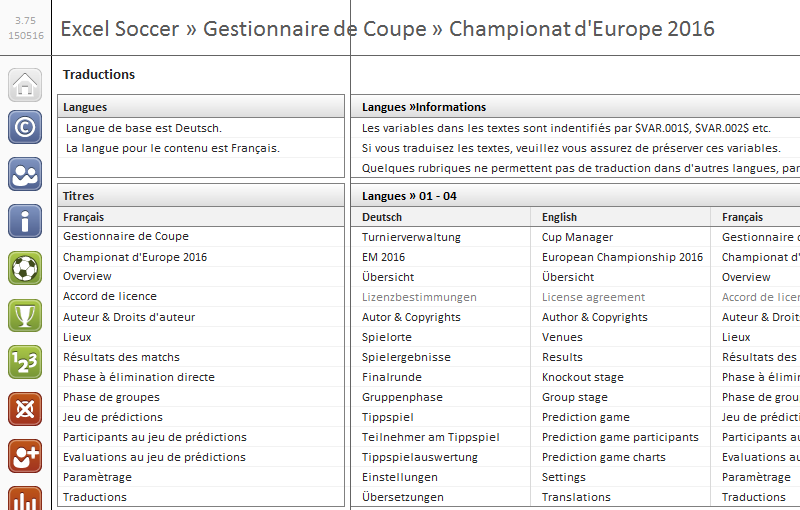 Click on the headings to view the content of the corresponding categories.